In a Baseball State of Mind? 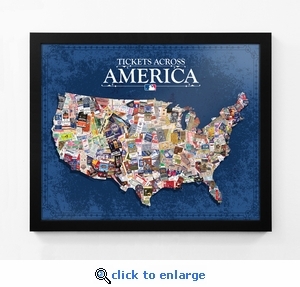 Let it show with this truly unique framed print which depicts a collage of over 250 authentic MLB tickets made into the shape of the United States. Each ticket is placed in relative proximity to where the game was played. The tickets included in this print took over a decade to accumulate. They span the history of baseball and date back to the early 1900's. 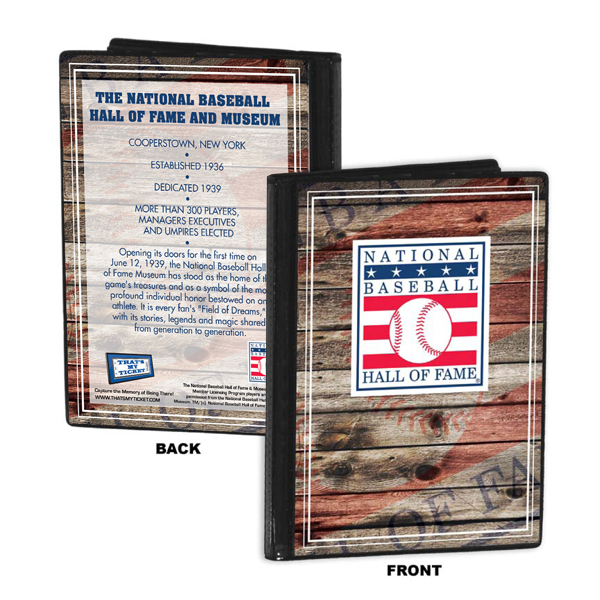 Included are tickets from Key World Series Games, All-Star Games, Ballpark Debuts, 500 Home Run Games, 3,000 Hit Games, Record Breakers, No-Hitters, Perfect Games, Opening Days, Inaugural Games, and many, many more. An MLB aficionados dream. Framed in a 1.25-inch wide black moulding. The surface of the print is coated with a clear texture that gives it a unique look and feel. Ready to hang. Overall size: 30.5 (W) x 25.5 (H) x 5/8 (D). Officially licensed by MLB.